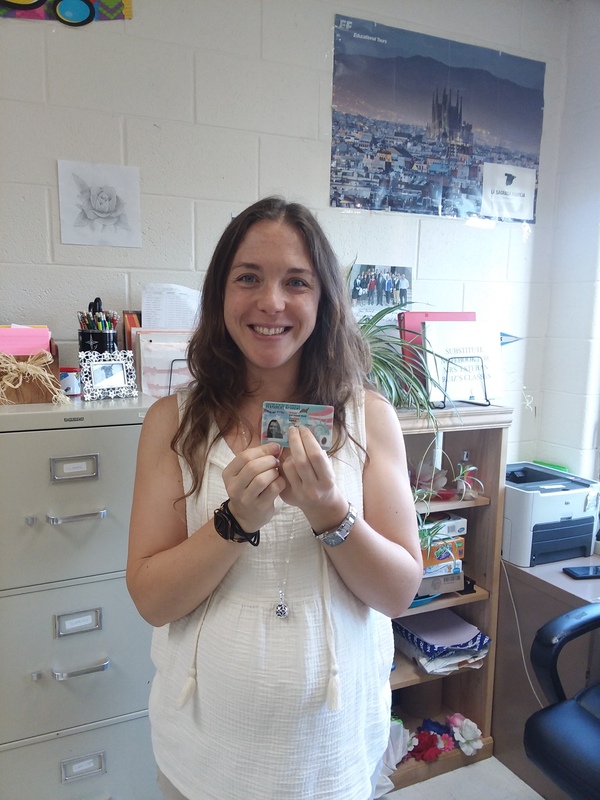 NCHS Spanish teacher Mrs. Esteban recently received her green card last January after traveling to Pittsburgh and Charleston. When asked about her reasonings to stay in America, Mrs. Esteban answered with a list including her job in America, her teaching conditions (examples: planning period, experiences, and kids), and living amongst nature. During her experience, Mrs. Esteban says the paperwork to receive her green card was the most difficult because it was so time consuming and required many items to be mailed from Spain. To compare Madrid (the town Mrs. Esteban lived in at Spain) and West Virginia, she said there weren’t many comparisons, but they were different because of reasons such as size, nature, food, and experiences/attractions. When asked about her favorite thing about West Virginia, Mrs. Esteban said, “Nature.” Her least favorite was the food because fruit and vegetables taste so different and are much more expensive. Fish was also mentioned as not tasting as good. She said not being able to work everywhere was another least favorite thing. As of now, Mrs. Esteban and her family have no plans except to go to the lake, stay quiet, and take care of her baby, which is expected to arrive in November.